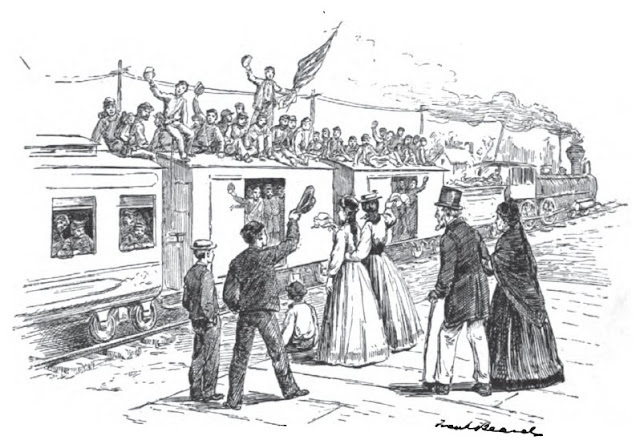 Between October 5 and 8, 1861, special trains filled with Col. Hambright's volunteers departed Lancaster to cheers and good wishes of many citizens of Lancaster. Although some companies briefly rendezvoused at Harrisburg, the regiment's destination was Pittsburgh. A post tomorrow will feature a letter by one of the soldiers of Company E recounting the scenes in Lancaster and their journey.